Experience: There is no substitute. 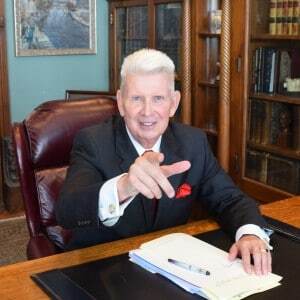 David Leroy is a trial lawyer with four decades of experience in preventing and solving problems for his clients. He has served as Ada County Prosecuting Attorney and Idaho Attorney General, and was also Lt. Governor of Idaho and United States Nuclear Waste Negotiator. Currently he specializes in felony criminal defense cases, but also works in and has years of experience trying cases involving government, family and business law. His clientele has varied from juveniles charged with minor infractions to the State of Idaho in litigation against Oregon and Washington. From the Magistrate Court in Idaho Falls, the District Court in Sandpoint, to the United States Supreme Court in Washington D.C., Dave Leroy has earned a reputation as an able and effective advocate who wins cases for his clients. A litigator his entire career, Dave Leroy holds a post-doctoral degree in trial practice and procedure from New York University. Lawsuits are costly, time consuming and emotional, but sometimes unavoidable. Thorough preparation, adequate resources, and skilled advocacy can present your position in a manner best calculated for success. The client must be fully involved and strongly committed to a well-defined goal with a proper base of facts. These tools win trials. We also handle appeals to the Idaho Supreme Court and various Federal Courts. Dave has represented Plaintiffs and Defendants in both common, everyday cases and high-profile, complex cases. He is a frequent press, radio, and televised commentator for local media outlets and national networks on breaking legal issues. He lectures on leadership to young lawyers for the Idaho State Bar Association. In 2014, Leroy Law Offices was voted “Best Law Firm” in the Treasure Valley by the readers of the Idaho Statesman. You just sailed to the top of my list of attorneys whom I feel are true professionals in your profession worthy of holding in high regard. What I should have commented on in my first email after the hearing is how you go about fighting for somebody else. You are an amazing advocate. Leaving your office yesterday morning you said, “Let’s go to work.” And oh boy did you do your job, far exceeding expectations. In fact, watching you work was for me an artful lesson in how to do that job. I am in awe! I was in the company of a consummate professional yesterday and I want you to know that. I wanted to say that I am sorry that your clients are not here to hear this, Mr. Leroy. All the other lawyers on both sides of this case I knew previously from prior associations and they are first-rate lawyers and I won’t say anything further in that regard because it would simply be carrying coals to Newcastle as to the high respect I have for their abilities. This is the first case you have been before me, and I have been very impressed, very impressed indeed, with not only your skill but your professionalism. I am delighted to see this further proof of it in the subject that was just mentioned. Thank you for taking the time to hand write a letter to me. That means more to me than you will ever know. It was like a good firm handshake and confident eye contact. That says a lot about a man’s character. Thank you for meeting with my friend… your wisdom, generosity of time and sense of justice remind me that before we had lawyers, we had priests. Dave Leroy is the ultimate professional. He is very well respected among his peers. I haveworked alongside Dave and witnessed how hard he works and how tirelessly he advocates for his clients. In fact, on a case he just resolved for a mutual client, he accomplished the impossible. Dave was able to get a district court jduge to order an exception to a previous judge’s order. The exception saved the clients career and dramatically improved his life. Dave is amazing. I recommend Dave to everybody. He’s the best. Awesome lawyer, famous T.V. guy. 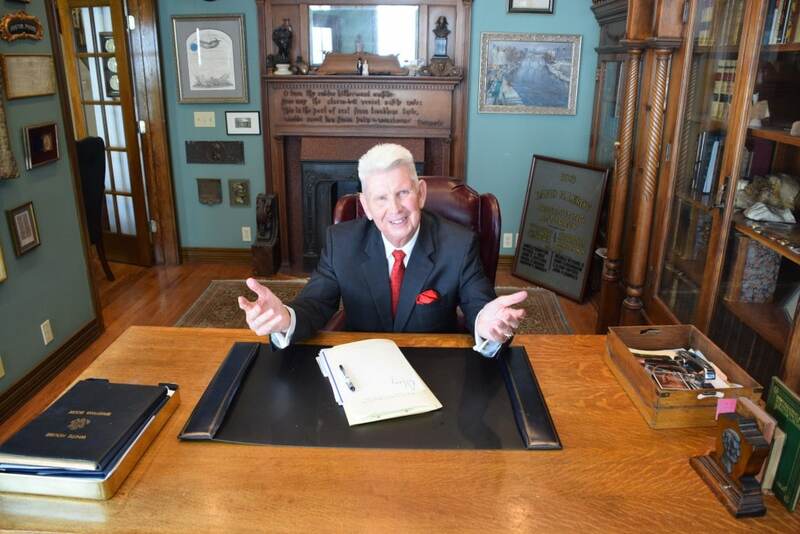 David Leroy is a trial lawyer with four decades of experience in preventing and solving problems for his clients. He has served as Ada County Prosecuting Attorney and Idaho Attorney General, and was also Lt. Governor of Idaho and United States Nuclear Waste Negotiator. Currently he specializes in felony criminal defense cases, but also works in and has years of experience trying cases involving government, family and business law. © Copyright - David H. Leroy | Website by Social Eyes a Boise Web Design & Digital Marketing.